Pantene is always my first choice when it comes to shampoo series and I've lost count how many "family feud" when my dad wanted to buy a cheaper shampoo but I die die want to buy Pantene just because I really see the difference in terms of quality and effectiveness. I grow up by using Pantene all these years hence I felt my hair is healthy because of the good foundation I built up since young. Shampoo series is the most important regimen when it comes to hair care and it could affect the outlook of hair, texture and also moisture level as well as hair growth. 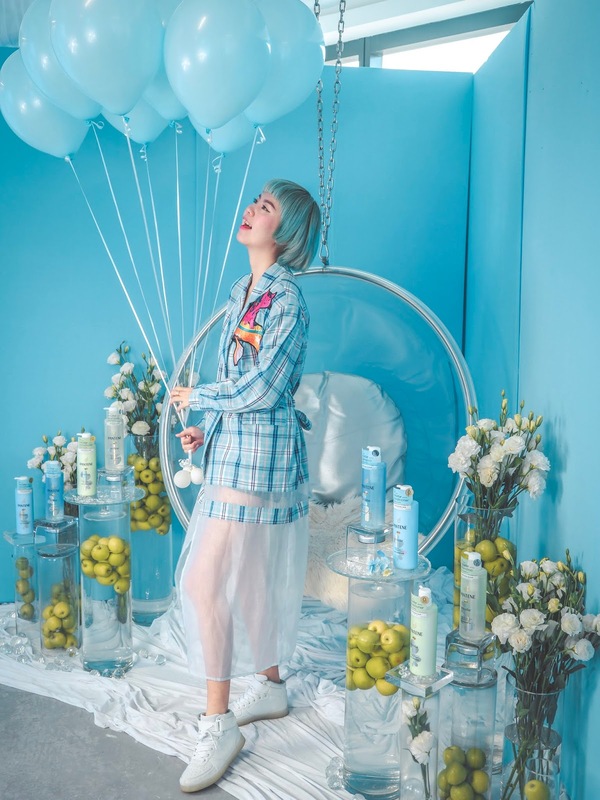 Using the right type of shampoo is what we all should know since young! 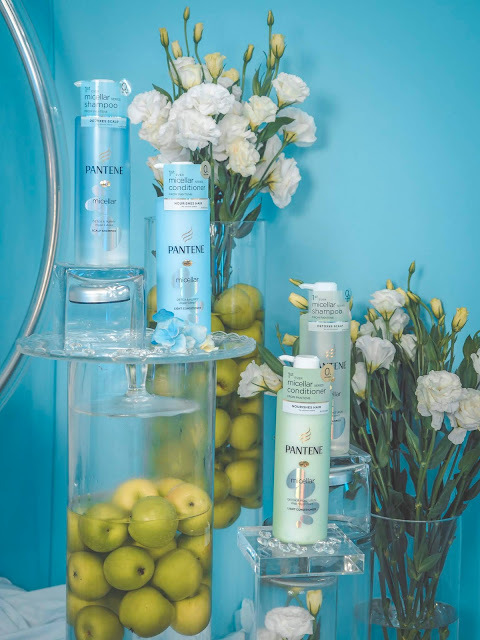 Pantene has more than 70 years of history developing shampoo series that suits all type of hair and is continue to do ground breaking research when it comes to hair care products. 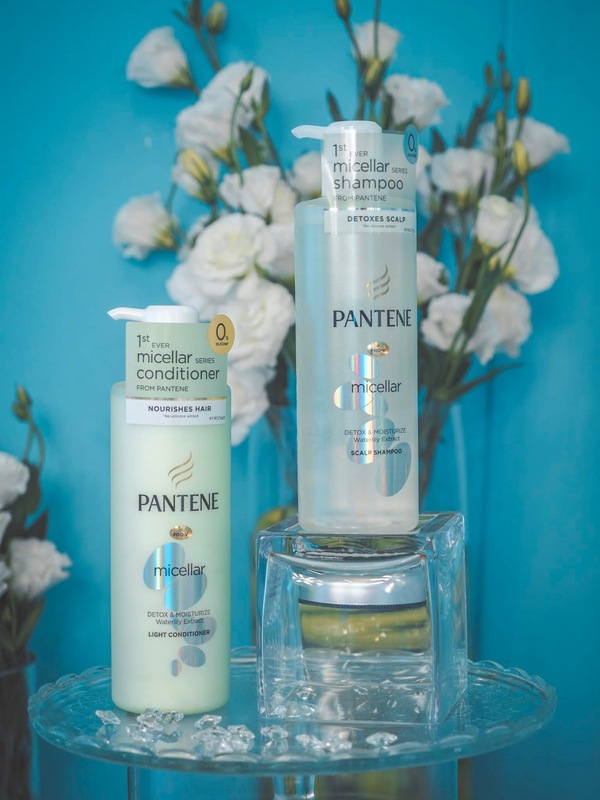 Being the number one hair care brand, Pantene has did it again by bringing their latest innovation: Pantene Micellar shampoo series which detox, purify and moisturise your hair and scalp. 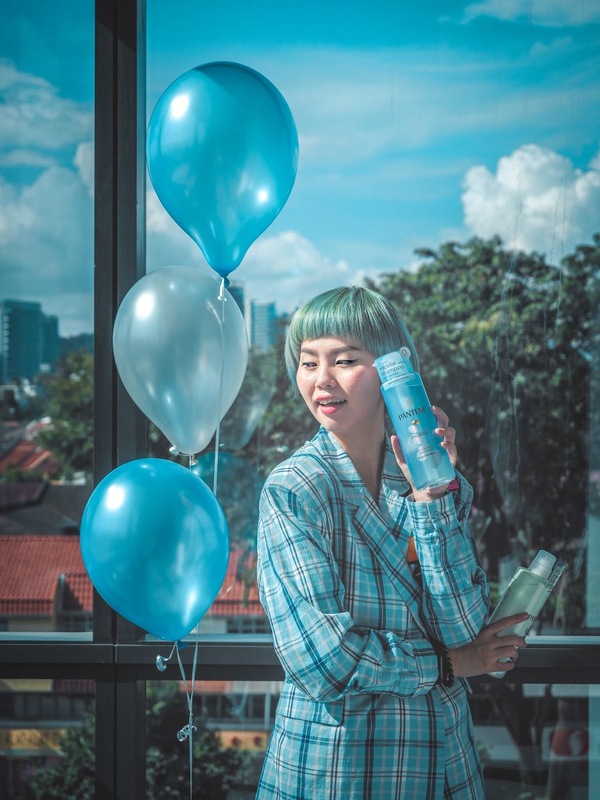 During the launch of Pantene Micellar shampoo series, I've learn so much about micellar that can purify polluted tap water and make it clean again hence it's doing the same to our hair: detoxifying and purifying the pollutant elements to create a healthy growing environment for our hair. 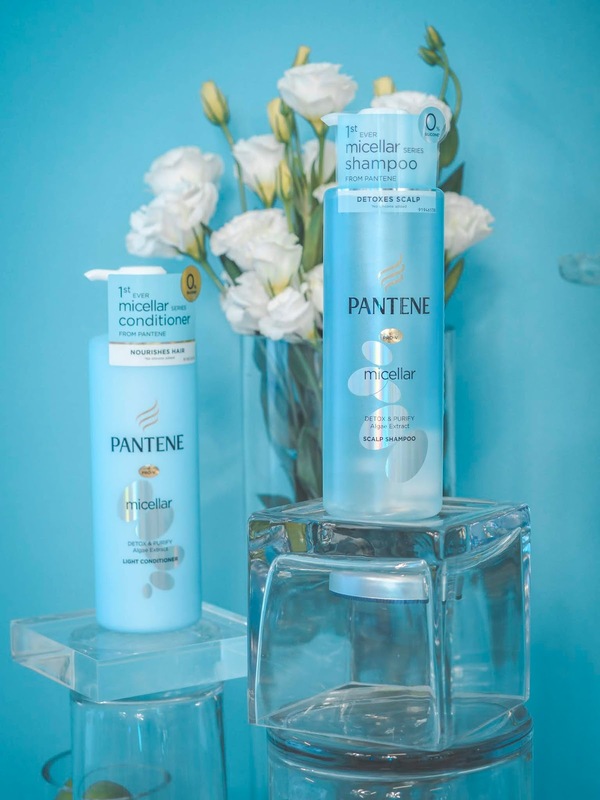 Not just any ordinary micellar formula, Pantene Micellar series formulated with silicone-free micellar formula, it balances and nourishes scalp and hair without drying them out and yet, at the same time the micellar will cleanse away dirt and impurities, leaving us just healthy and perfectly oil-balanced hair! Did I tell you that these shampoo series contains Pantene's legendary PRO-V formula too? 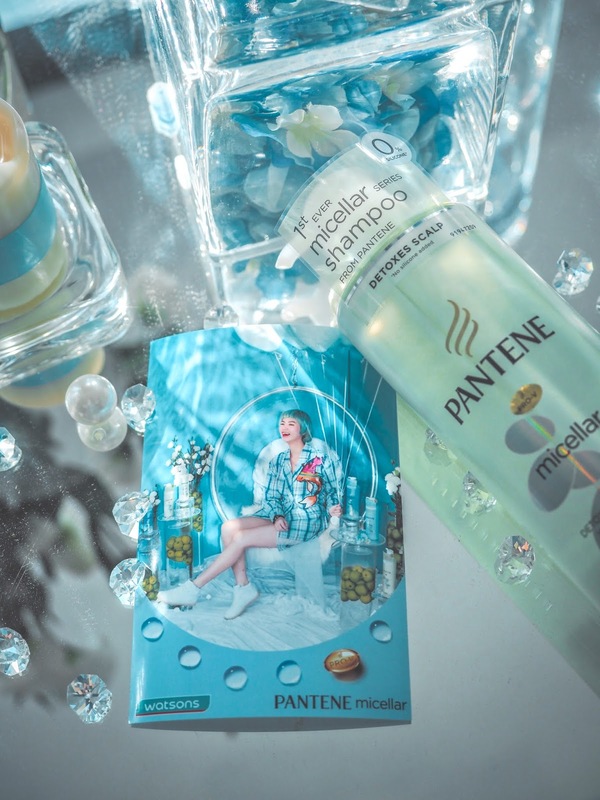 For a limited time frame, from 15th January - 18th January 2019, Watsons Online Store offers pre-order sales for Pantene Micellar Shampoo Series (530ml shampoo and conditioner pack) for only RM50 with the Gift-with-Purchase deal! 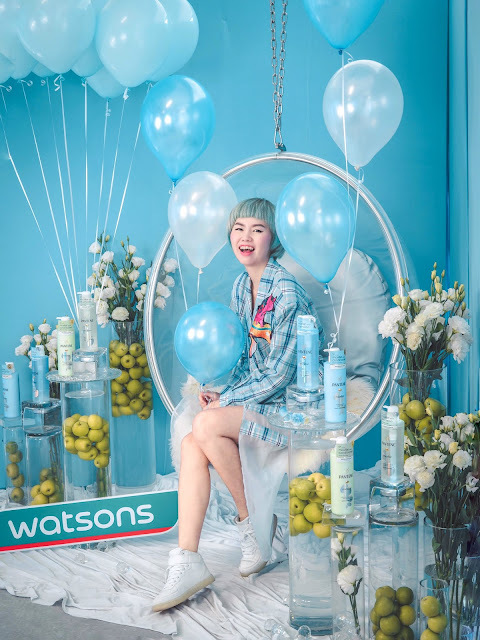 The first 100 Watsons Elite members who purchased are entitled for free hair salon vouchers too! So log on to www.watsons.com.my or Watsons Malaysia Facebook page / Instagram page for more deals information! If you have greasy, oily hair like I do too, do try out these Pantene Micellar shampoo series as I love the after wash result: clean, refreshing, and doesn't weigh down hair even though it's nourishing! Love my current hair to bits after a few wash from the Pantene Micellar Detox & Purify shampoo series. Thank you for being such a reliable hair care companion as always Pantene!